As a buyer, you can expect 2-5% of your loan to go towards closing costs. However, exactly what those incurred costs are from may vary from one closing to another. For example, some states will require an attorney fee for a lawyer to review the closing documents for the buyer/lender. Others don’t have to worry about this in their closing costs. Some lenders include courier fees in the closing costs, others bundle that expense elsewhere. Below is a breakdown of the factors that go into your closing costs. Not every cost will apply in your case, so it’s important to read your documents carefully, and research the requirements in your area. However, this can give you an idea of where the money is actually going. Application Fee: This fee varies from one lender to another, and may or may not include credit checks, appraisals, etc. Appraisal: This fee goes to the appraisal company, who evaluates the home to determine its market value. Attorney Fee: This is money paid to a lawyer to review closing documents for your sake. Courier fee: This fee covers the cost of moving the documents at speed to ensure the loan goes through properly. Credit report: Background research needs to be done to check your credit, which is used in determining your interest rate. Escrow Deposit (Property Taxes and Mortgage Insurance): This is kind of like paying first and last month’s rent when you move in somewhere; it’s a protection to ensure that you’re ready to pay the future recurring costs. Homeowner’s Insurance: This is one of the biggest contributors to closing costs, as most people will have to pay the full first year’s insurance cost at closing. Home Inspection: The is the cost of hiring a professional to evaluate the condition of your home for your sake, to ensure that all is as advertised. This is often used as a tool for bartering the price down when big repairs are needed. Sometimes you can also expect survey fees in order to have a surveyor verify and determine property lines and boundaries. Origination fees: This can include about 1% of your loan, and it is paid to the lender to cover administration costs. Discount Points: Loan discount points are prepaid interest that, paid as a lump sum, can reduce the monthly payment you’ll make over the life of the loan. Transfer taxes: These are paid to the government and vary from one location to another. There might also be recording fees charged by the local recording office. Title search or Exam fee: This is kind of like researching the title of a car before you buy it; it’s a matter of researching the history of your home, and is important to determine if there’s anyone else who could have a claim to the property. Private Mortgage Insurance (PMI): This is usually required if your down payment is less than 20% of home’s price. FHA Up-Front Mortgage Insurance Premium: This applies for those getting an FHA loan, although the payment can be rolled into the cost of the loan, as well. VA Funding Fee: Similarly, this can often be rolled into the cost of the loan, and applies for those getting a VA loan. This isn’t a comprehensive list, by any means. 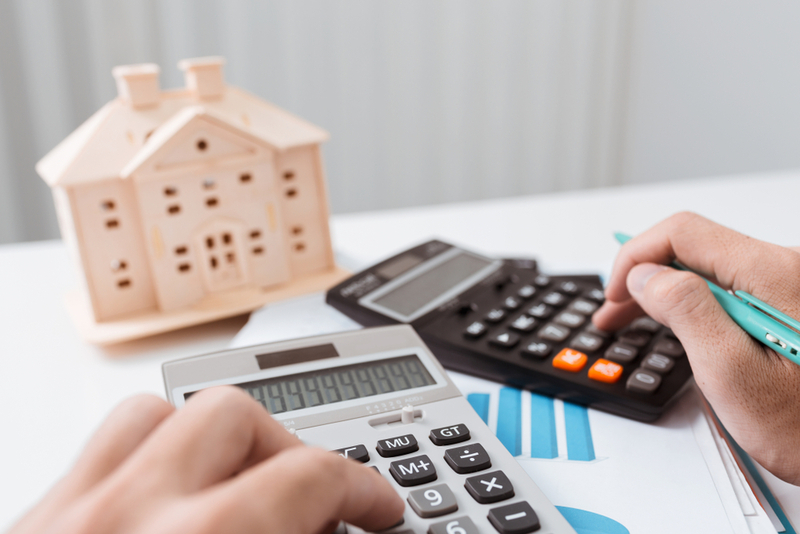 As stated above, the included costs can vary greatly depending on your location, the type of loan, and the way that a particular loan company arranges its costs. However, we can tell you this: at City Wide, we believe in building relationships of trust with our borrowers, and our loan officers will be with you every step of the way to make sure that you feel confident about what your money is going to. Within a few days after submitting your loan, we’ll be able to give you a cost estimate of closing fees, and we’ll keep you apprised about any changes to that estimate before closing. A few days before closing, you’ll receive a Closing Disclosure that will specify details. If you ever have any questions about your own loan terms and closing costs, give us a call at (866) 508-5515. We’ll be happy to discuss it with you.